TURIN -- Hoping to improve its balance sheet, sports car maker Ferrari is expected to approve Monday the spin-off of its loss-making Maserati luxury sports car subsidiary to Fiat group. 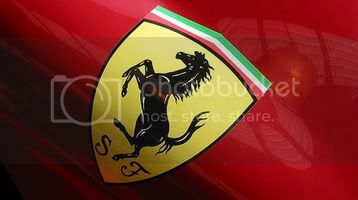 The move is seen as a preliminary step toward an initial public offering of Ferrari shares later this spring. Ferrari's IPO has been rumored for years, but chronic losses at Maserati have forced a delay in the company's plans to go public. Fiat group controls 56 percent of Ferrari S.p.A., which in turn owns 100 percent of Maserati. Terms of the planned sale aren't available, but Fiat group is expected to pay Ferrari in cash for Maserati. Ferrari originally paid 15.4 million euros for Maserati when it bought the company from Fiat in a transaction completed in November, 1999. Maserati had been in the red since Fiat bought it from Alejandro De Tomaso in January, 1990. In 2004, Ferrari-Maserati production surpassed 9,500 units, boosting revenues to 1.5 billion euros. That was up almost 20 percent from 1.26 billion euros in 2003. Ferrari-Maserati lost 57 million euros in the first nine months of 2004, mainly due to the strong euro and heavy investments in Maserati. The combined company hopes to break even for the full year 2004. In 2003, it reported a 32 million euro operating profit. Though Ferrari doesn't break out Maserati results, it is clear that, without Maserati, Ferrari would show a substantial profit. For Ferrari, 2004 was a record in terms of production: It built more than 4,900 units, up from a 1992 record production of more than 4,400. Maserati production rose almost 60 percent to 4,600 units, a level which doesn't allow it to break event yet. The company made substantial investments to launch two new models last year, the new Quattroporte sporty sedan and the MC12 limited-edition supercar. 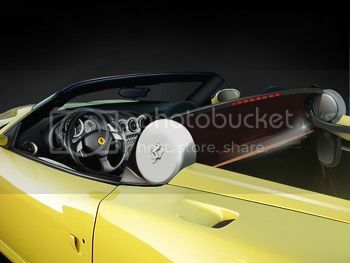 Ferrari is also preparing a 575 Stradale. It's much like this year's 575 HGTC but even more extreme. Expect to see it at the 2005 Geneva Motor Show in March. The 575 stradale is gonna be a killer!!! 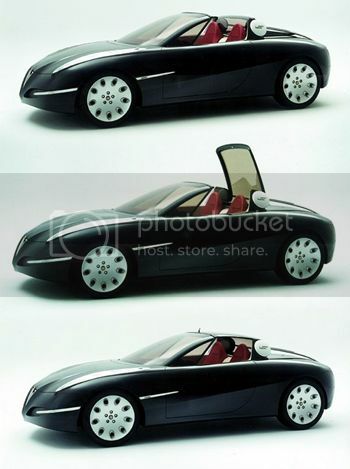 the folding roof concept is pretty old news. Dont see the point of making the 575 a stradale though, its supposed to be a comfy GT not a sportscar like the 360.
i hope the 575 stradale is basically a 575gt w/ a nice big stripe! I can't wait do see sound of 575 Stradale!!! The electro chromatic glass section has five tint settings, including the possibility for having it 100% opaque. For security reasons, this opaque setting will also automatically feature when the car is parked and locked. Other than for the obvious reason of maximum luggage space at all times, another advantage of the system lies in its simple and light-weight structure. The system can also be used on a rear mid-engined layout. A limited run of 500 examples will be built, whilst the engine has been developed to produce 540 bhp. In the meantime, Ferrari are working out issues regarding dust and debris build up on the glass. It is rumoured that the new car will be called 575 Berlinetta, whilst prices are anticipated to lie at around USD $325,000. There wont be a 575 Stradale. oh ya? why not and where did u get that from? Why ? I dont know. But its someone from Ferrari Spa who told me that at the Paris Show. but isnt the Zonda, and Murc convertibles faster?